PrevChoosing the best ECG book: ECG made easy or completely? 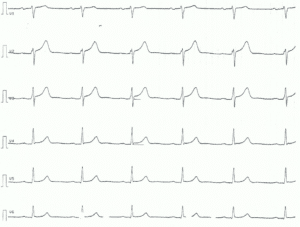 The ECG must always be interpreted systematically. Failure to perform systematic interpretation may actually be detrimental. We have therefore compiled a pocket guide with a universal interpretation algorithm. 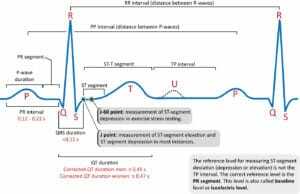 These 22 pages includes all you need to perform methodological ECG interpretation. We recommend this approach as it minimizes the risk of missing important abnormalities and also speeds up the ECG interpretation. Press the Download button to download the pocket guide. Go to your account to view your course progress. Permanent membership: Permanent membership yields unlimited access without any recurring costs. Purchasing this membership grants you permanent access to the website and there are no additional costs and no recurring costs ever. Monthly subscription: A subscription grants you access to the website for one month. The subscriptions renews automatically but it may be cancelled at any time with the click of a button from your account page. This e-book and course covers all topics from basic cardiac electrophysiology to advanced ECG interpretation. It is suitable for physicians, assistant physicians, nurses, paramedics, biomedical analysts, students and researchers. The content is in line with guidelines issued by the American Heart Association (AHA), American College of Cardiology (ACC) & the European Society for Cardiology (ESC). error: Contact us for permission to use contents. Permission will be granted for non-profit sites.